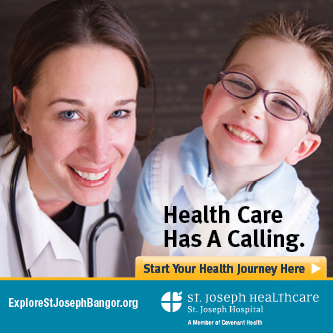 BANGOR – There's only a few times in life where you have a chance to make a difference. It doesn't matter whether it's in your community, your family, a church or an employer where what you do has a direct impact on the lives of others. THE FORKS Maine State Police continue to investigate the death of a young woman along Route 201 in The Forks early Sunday morning. Detectives are looking into whether she may have jumped from a moving pickup truck driven by her boyfriend. MAINE The groundhog not only got this one right, he got it right in the best possible way. After a relatively mild winter, Maine is shifting gears from snow to spring, and one of the sweetest signs of the season is Maple Syrup Sunday. This year it falls on March 27, which is also Easter another holiday that invites us to enjoy the sweeter things in life. You don't start out wanting to quit something. I mean, if that were the case, we would all still be crawling it's safer and easier than the balance and coordination needed for bipedal locomotion (er walking. I could just say walking). None of us would talk, use the bathroom correctly or tie our shoes all skills that are learned through painstaking practice. And you learn by falling down all the time. A few short years ago, our kids couldn't use cups that didn't have covers on them. They couldn't dress themselves. I remember a time, not too long ago, when they couldn't communicate things they wanted in anything other than screams. And even as early as last year, tantrums were the go-to emotion they defaulted to when things weren't going their way.